It’s nowhere near Mother’s Day, but for Olympians like Gus Kenworthy and Kehri Jones, the No. 1 woman in their lives is never far from their minds. 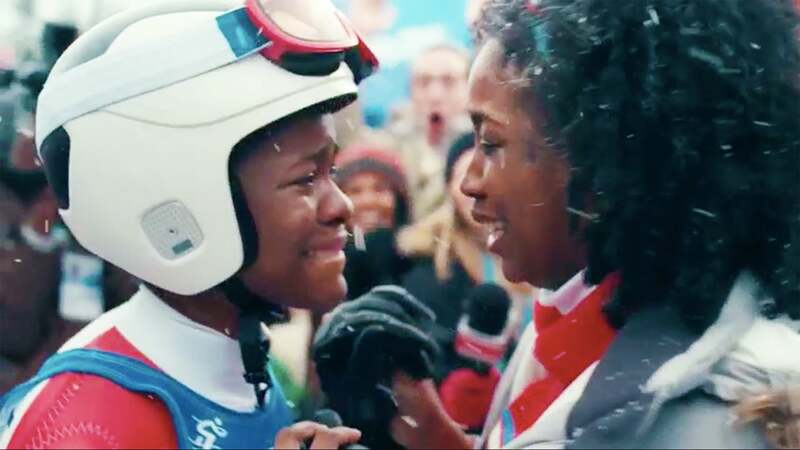 Ahead of the 2018 Winter Olympic Games in Pyeongchang, South Korea, Olympians past and present — including figure skating legend Michelle Kwan and Elana Meyers, the first woman to pilot a mixed-gender bobsled — partnered with Procter & Gamble to produce a short yet super-powerful film highlighting the vital roles their moms played in helping them achieve their Olympic and personal triumphs. The video, which is loosely inspired by the Olympians’ own struggles and is guaranteed to make you choke up, follows six young, aspiring Olympic athletes, who, with the love and support of their moms, overcome obstacles big and small to pursue their dreams. Titled “Love Over Bias,” it’s the latest installment of P&G’s Thank You, Mom campaign and aims to make viewers think about how the world might be different if we all saw one another through the unconditionally loving eyes of a mother. “When you think about the way a mother views her child, if everyone could view everyone that way, the world would be a much better place,” says Kenworthy, 26, who’s an Olympic skier and the first openly gay action-sports athlete. Kenworthy admits he had a lot of fear about coming out publicly two years ago not long after he won a silver medal in the 2014 Winter Olympics. Considering the “inherent homophobia” he witnessed in the action-sports industry even before he came out, he worried about being ostracized, judged or even losing his career. And though Kenworthy admits he still deals with discrimination for his sexuality, whether it’s to his face, “through the grapevine” or on Instagram, he sees a noticeable difference in his life and the state of the LGBTQ community since he came out. “Even if I was being called names all the time, I’d prefer to live my life authentically and to be free and myself rather than a version that I was making up,” Kenworthy says. Kehri Jones, 23, is an Olympic bobsledder and also credits her own mother for much of her Olympic success. She equates her mom to her counselor and describes her, especially when she was younger, as a protective “mama bear.” Still, she says she didn’t always see eye to eye with her parent. It wasn’t until college that Jones realized her strict upbringing was for her benefit. Like Kenworthy, despite her success, Jones isn’t immune to prejudice and discriminatory comments, and when she’s struggling to cope with hateful words, she seeks support from her mom. Jones admits that, like many Americans, she feels that the U.S. has recently lost ground in terms of social progress, but remains hopeful for positive change.